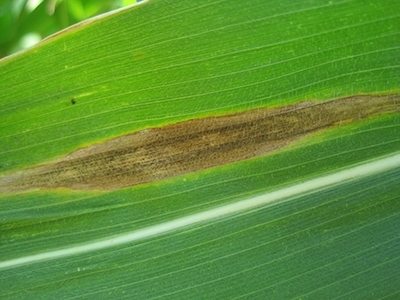 Iowa State University plant pathologist Dr. Alison Robertson is reporting the early occurrence of northern leaf blight of corn in Iowa (Diseases Showing Up in Iowa Corn). On susceptible hybrids, this disease produces cigar-shaped lesions (Figures 1 & 2). 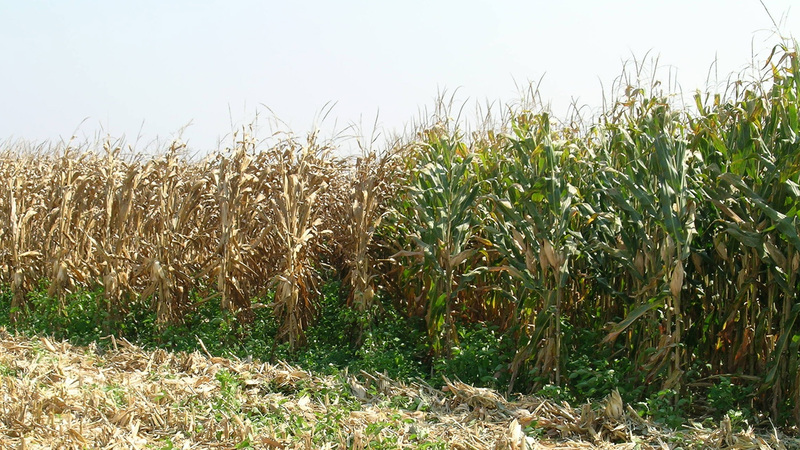 Further development on susceptible hybrids can lead to substantial leaf blighting during grain fill (Figure 3). Leaf blighting can also predispose the plants to weak stalks at maturity. I am not trying to scare producers into spraying fungicides where they were not already planning to do so, especially given corn prices. Our overall weather conditions over the past month do not appear to have been highly favorable for the disease. Furthermore, our inoculum levels at planting were probably not as high as in Iowa. However it is a good idea to take a look at corn fields to see if there is any indication of a developing problem with northern leaf blight. 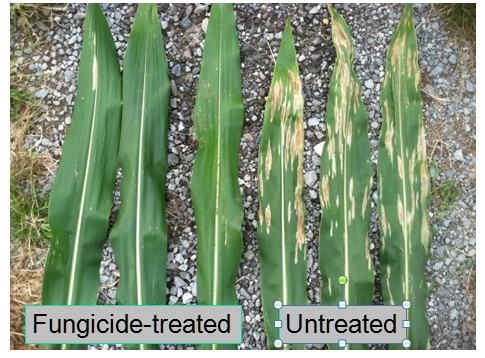 Dr. Kiersten Wise at Purdue University produces an excellent annual summary of fungicide information for corn, entitled Fungicide Efficacy for Control of Corn Diseases. This publication takes into account assessments from numerous states. You can find the latest version of that publication here.